Available for 1987-1996 F-150’s, these new race spindles replace the weak link in the front suspension, NO STOCK BALL JOINTS! We replace the upper and lower ball-joints with 1″ FK uniballs with heat treated stainless steel spacers and 3/4″ through bolts. Minor fabrication to the i-beam end will be needed and we recommend double shearing the uniballs. These are designed for the standard 2wd beam end, not a 4wd Dana 44 beam conversion. We also build 1.5″ of lift into these for better ground clearance. 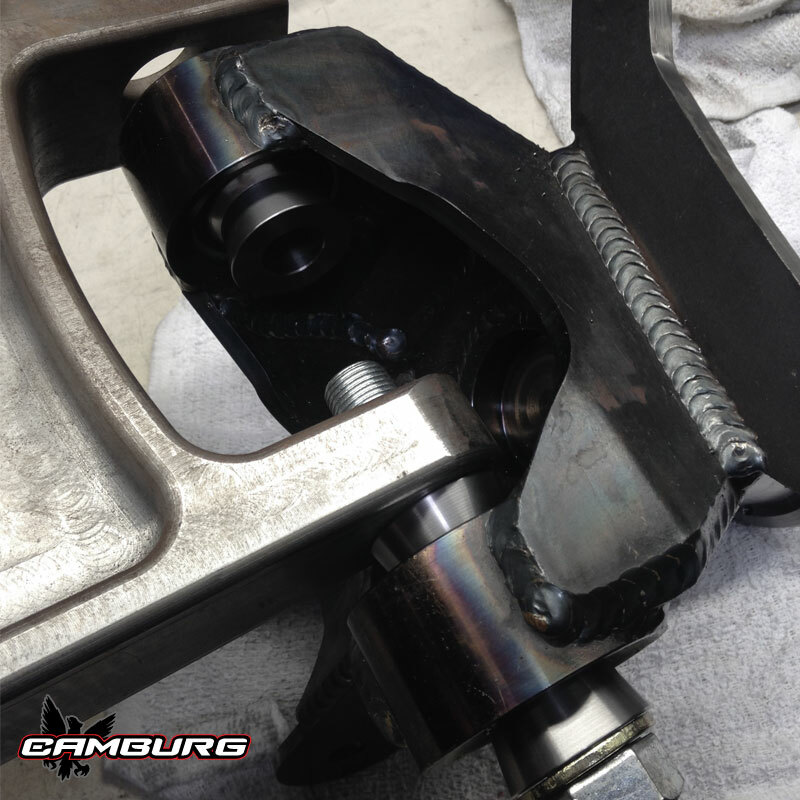 You will need to convert your steering to use a FK 7/8″ JMX heim joint. We can mix and match many different hub and brake combinations with this design to suit your needs and budget. 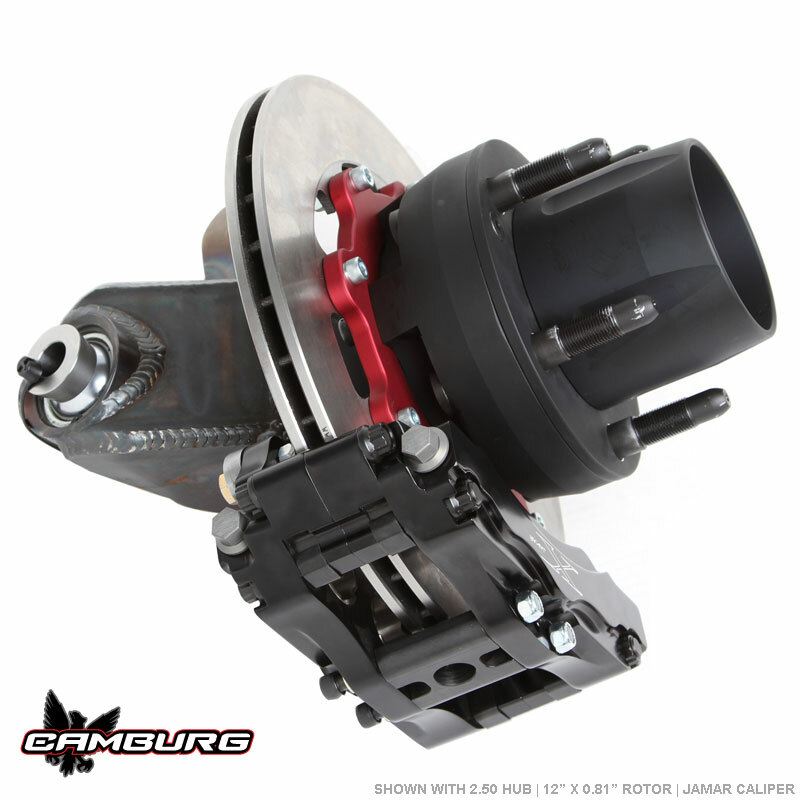 Standard they come with our 2.25 hubs and 12″ Wilwood rotors and superlite 4 piston calipers. You need wheels that are setup for 5/8″ wheel studs and have a 4.25″ center-bore.